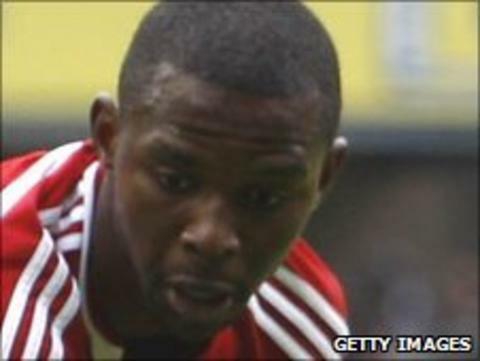 Former Swindon Town defender Lescinel Jean-Francois has joined Sheffield United on a two-year deal. The 24-year-old Haiti international's contract at Swindon expired this summer and he will be reunited with former Robins boss Danny Wilson. Wilson brought the former Paris St Germain youngster to the County Ground in January 2009. Jean-Francois had previously been at French side Guingamp and has also played for Scottish side Falkirk. Wilson told the Sheffield United website: "[He] will thrive on the pressure and expectation, and hopefully we will see that we have got a very good player on our hands. "He was out of contract and we had contact from his agent, as did a lot of clubs, and we just asked him if he fancied coming in. "He is very athletic, has a terrific left foot, is comfortable at both left-back and centre-back, so gives you good options. "What we will see is an aggressive and competitive character and I am very much looking forward to working with him."